When it comes to exercise, we often zone out. We listen to podcasts or music while on the elliptical. We watch TV while we’re on the treadmill. We take group fitness classes and barely pay attention to the teacher, only mimicking the movements. At Nourished Union, we don’t offer exercise classes, we offer fitness wellness programs that bring together the mind, body and soul. It’s not about exercising to work off that cheeseburger or trying to go down a clothing size, it’s about using movement to feel and live better. Our wellness classes are designed to engage your mind and body, allowing you to learn how they work in tandem to get you mentally and physically stronger. Our wellness class Toronto is tailored to the client. Our instructor will meet with you to create a program that is suited to your health and wellness needs. Furthermore, we will come to your office or home to give these classes if necessary. We want you to feel comfortable during your wellness class and having it in our own space can be done. For corporate classes, we can visit your office or find a space nearby and teach one or two employees at a time or your entire staff. Whatever you need for your wellness class, we will acquiesce. Our wellness class Toronto is tailored to the client. Our instructor will meet with you to create a program that is suited to your health and wellness needs. Furthermore, we will come to your office or home to give these classes if requested. We want you to feel comfortable during your wellness class and having it in our own space can be done. Whatever you need for your wellness class, we will acquiesce. Mindful Movement: Nourished Union specializes in an approach of mindfulness. You’ll experience what it truly means to be at one with your mind and body. All of our classes are designed to help you increase energy and focus by connecting the mind, body, emotions and senses at the same time. While your body moves, your mind works in tandem to improve your health. We encourage our clients to go beyond simply burning calories and bring their mind, body and soul together by reshaping your approach to movement and mindful living. Get a natural burst of energy with this endorphin release to stay focused and alert throughout the day, while learning mindful techniques to keep you connected to the movement and away from distractions – tools to use in any workout and in daily life, known to help overcome stress, anxiety and depression. Functional Movement: Nourished Union’s health fitness wellness programs are about moving mindfully and to build functional strength to age with grace. We focus on creating better balance while helping you strengthen the core (muscles of the pelvis, lower back, hips and abdomen) harmoniously. We teach you to connect the mind and body while engaging the soul to build strength and focus in our everyday lives. Bespoke Classes: These classes are designed to connect the body and mind through breath. 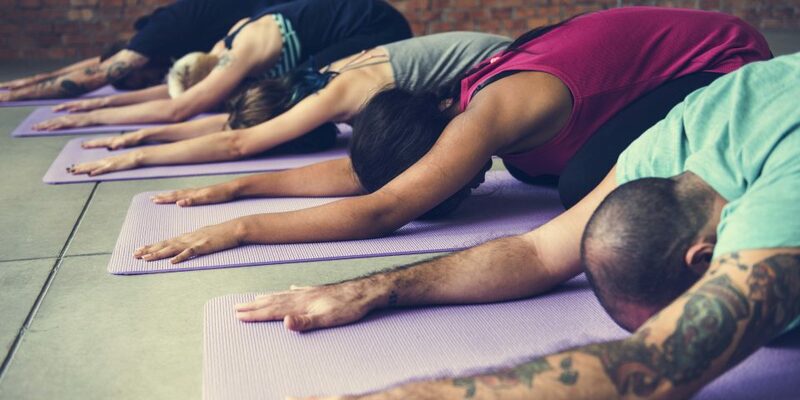 Whether it is through an intense spin session, sweating and working your body at the barre, or finding balance during a Vinyasa flow class, you’ll learn the power of breathing and how it makes for a deeper connection to the mind, body and soul. Yoga: The focus is on alignment with each asana, while building strength and releasing tension by connecting your movement with your breath. We offer Vinyasa, Hatha, Restorative, Yin and Pre/Post Natal yoga classes. Cycle: Take your ride to the next level. Where mind and body meet as you push through climbs, sprints and build your endurance. These classes will make you sweat while you move mindfully and build more functional strength – all while being motivated by the beat of the music. Barre: With a focus on lengthening the muscles while building strength, our barre classes allow you to connect your breath and alignment as you move. Guided Runs: Take in the beautiful sunrises over the Toronto waterfront or wind between the skyscrapers of the Financial District with a guided run. Join our guides for a run that will keep you mentally focused, while physically pushing you through a tempo pace, using mindful techniques, to keep the mind connected to the movement and away from distractions. Mindful Meditation: Our meditation classes show you how to unlock the power of your mind as you learn proper relaxation and deep breathing techniques. Whether you’re new to meditation or have a deep practice, our guided sessions will help you build the muscles of the brain to positively affect your daily activities and perspective by creating the space to become more aware and connected to present moment. Our wellness classes engage the central muscles needed to keep our core strong. As we age, we may neglect our posture and bone structure. We slouch because we think it feels more comfortable. We don’t focus on our gait when we walk and shuffle our feet. However, our spinning toronto, mediation, barre and yoga classes can help you erase those bad habits. Instead of telling you to sit straight and walk properly, we offer different movement techniques that help build a sturdy foundation so that you can age gracefully and healthy. For more information about our fitness wellness programs in Toronto, do not hesitate to contact Nourished Union. Your body and mind already work together, why not give them a little boost of physical activity?